In this article, we explain the 7 Dentist apps recommended for dental students and dentists alike. We will categorize the apps into Social apps, NBDE related, dental references and Fun. In this category we mean apps that help dentists share and express dental cases, review and ask others dentists. MedShr is the easiest & safest way for medical professionals to discover, discuss and share clinical cases and medical images. 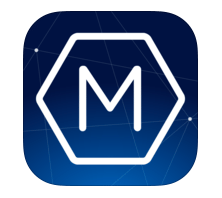 Join our community and connect with thousands of verified doctors, healthcare professionals and medical students sharing knowledge and learning from each other in a secure private network. I love the fact that everything of the cases that are presented should be from professional that are officially certified, thus most of the cases are authentic and the cases presentations is a breathe of fresh air for those looking for cases to review. TeamDental is a secure and exclusive community for verified dental professionals. Dental professionals are connecting on Team Dental to learn, share and collaborate with other like-minded dental professionals in a secure environment. This app is also a personal favorite, due to the fact its both free and everyone on the app are dentists, the only thing i don’t like about it , its not case related but more of everything else and they aren’t mobile native but website-links based concept…. in other words, dentists sharing dental topics via links to other websites. So you are getting ready for the NBDE part 1 exam and really wana know whats the best apps! We are dental professionals, not a publishing company. We have a 99% pass rate because we help guide you through the NBDE process and will do everything we can to make you confident and successful on test day. Please reach out to us if you are confused about anything NBDE related or are curious about trying our app. 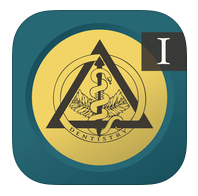 This app was created in partnership with the University of Iowa College of Dentistry. 1200+ meticulously crafted digital flashcards based on old boards questions. We spent months researching, data mining, and evaluating what NBDE concepts are most important for you to know. With our high yield focus you can study less AND be more likely to pass. 20 practice quizzes to build up your confidence. Automatic sorting of content based on your individual needs so your study plan is perfectly customized to you. Hundreds of mnemonics, root words and critical dental vocabulary to allow you to learn faster. 250+ color pictures allows you to visualize concepts and learn faster. Frictionless feedback system connects you directly with us for anywhere, anytime for NBDE guidance. 44.99$ for the full version, but you can download the free trial version. This app is just great if u want a fast NBDE part 1 exam, with solution and explanation as well as tips and tricks to some of the sections in the exam. Flashcards are scientifically proven to be one of the best ways to learn. Our engineered system teaches you and makes memorizing easier – saves time, effort and frustration. “NBDE Cram Cards” will push the cards you need to learn harder than the rest, making sure you learn what you need. Easy to use! But above all, always in your reach! 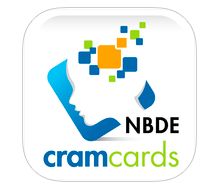 You can use “NBDE Cram Cards” in your free time, waiting for the bus, on the subway, or wherever you want. “NBDE Cram Cards” lets you make the most of all those short periods of time that you have every day. All your NBDE FlashCards, right at your fingertips. This is why “NBDE Cram Cards” is voted the best way to prep and study for the NBDE, both efficiently, effectively and affordably on your iPhone or iPad. Study Smarter, Score Higher on your NBDE Part 1 Exam! Access over 2800 Anatomy, 2200 Biochemistry & Physiology, 4100 Microbiology and 1500 Dental Anatomy digital flashcards focused for the NBDE and your dental school exams, anytime anywhere with convenience and accessibility! Drill yourself with fundamental NBDE Concepts and Facts more efficiently. 39.99$ for the bundle pack ( which include all four sections of the NBDE part 1 ) or separately each app costing 14.99$. Personally I haven’t tried this apps, but it seems really promising as alternative to Dental Boards Mastery. These are considered the best reference sources for all dental drugs used, dental terms and defintions. 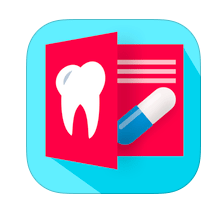 Dental Drugs App is a must to have application for dental professionals. It’s a quick reference for prescribing medications. It also helps with calculating maximum anesthetic dosages or recalling common treatment protocols in practice. Very simple design for quick reference and anesthetics calculation. Local dental anaesthetics calculator (in both pounds and kilograms for 1.8 and 2.2 ml cartridge). Emergency management protocols for situations that can occur on a dental chair. No internet required to run the app thus makes it fast and handy. 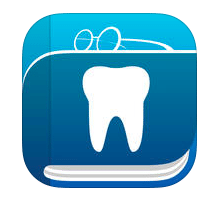 App is made by a dentist and is optimized for dentists and dental students. Email medication info & instructions to your patients. Quick search index to medications. The best free dental app for drugs. period. 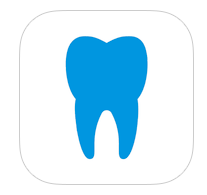 Whether you’re a dentist, dental hygienist, dental student, or just looking to learn more about dentistry, this free dental dictionary app can help you find clear, in-depth definitions of dental terminology right on your iPhone or iPad. Search across multiple disciplines in more than a dozen dictionary and encyclopedia sources. Search 18,000+ dental terms and definitions from top sources you won’t find anywhere else—all in one app. Save unlimited bookmarks and quickly access the terms you need to find fast. See search suggestions as you type and always find what you’re looking for. Listen to 11,000+ audio pronunciations for both American and British speakers. Something dental and fun …. The free multi-award winning Brush DJ app has is suitable for use by all ages. 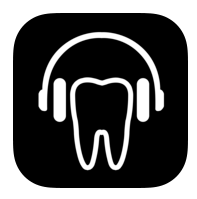 This toothbrush timer app plays 2 minutes of music from your devices, cloud or streaming service – to make toothbrushing for an effective length of time less boring! Brush DJ has been developed by a dentist for anyone wanting to reduce their risk of gum disease and tooth decay. The app helps keep your smile healthy and breath fresh. Also, by using this app you will find new songs and rediscover your music collection- from guilty pleasures to holiday anthems! simply put its a reminder for dental needs.